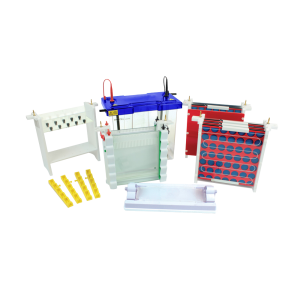 SymphonyBLOT Maxi Blotting System comprises all necessary components for blotting vertical slab gels. 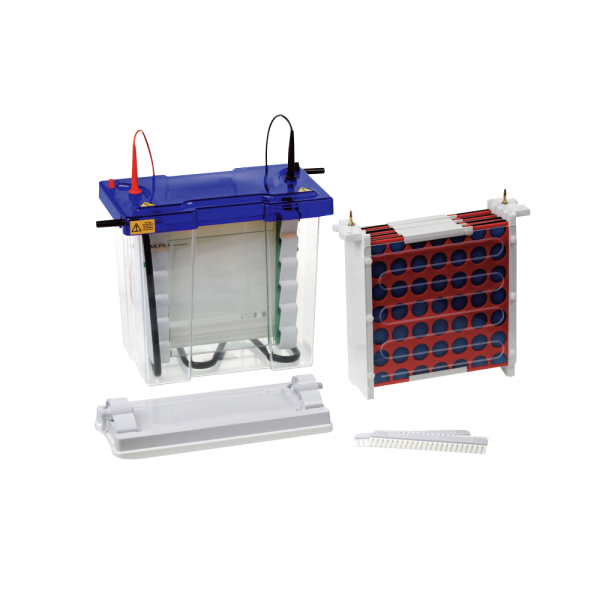 The interchangeable modular inserts mean you can use the same universal tank and lid for both electrophoresis and blotting applications. 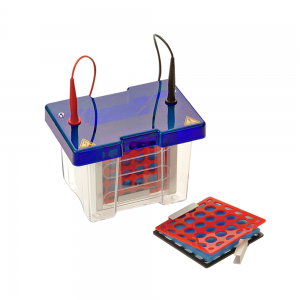 The blotting module includes 4 interlocking cassettes and 8 fibre pads with capacity for up to 4 maxi gels and 16 mini gels. Two types of wire electrodes are available – standard insert with platinum which is sufficient for most routine electrophoresis at voltages as low as 35V and Hi-Intensity insert with coiled platinum plate electrodes which is just 3 cm apart, ideal for higher voltage transfers at 200V within 1-2 hours. The detachable cooling coil can be connected to the laboratory water supply or a recirculating chiller to prevent buffer depletion and allows overnight transfers while maintaining low temperatures, crucial for protein stability especially during native transfers and high-intensity blots. The hinged rigid cassettes are easy to operate and provide even contact between gel and membrane.